While using Windows 10 or any other operating we use many different applications. Most of these applications are installed directly from the Windows Store but some of them are also downloaded from untrusted third parties. Such type of applications is likely to expose your computer system to certain viruses and threats. Therefore, Windows 10 users wanted to have a method with which they can block the installation of all the third-party apps. 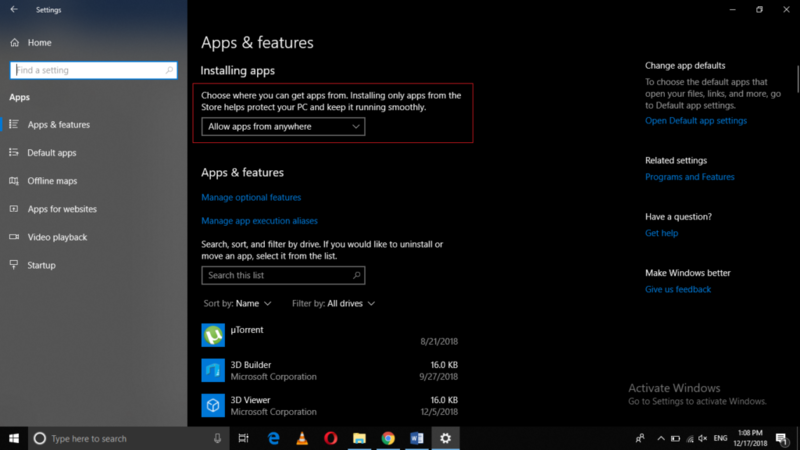 In this article, we will explain to you the method through which you can blacklist the apps that are not in the Windows 10 store. Now click on the Apps tab as highlighted in the image shown above. 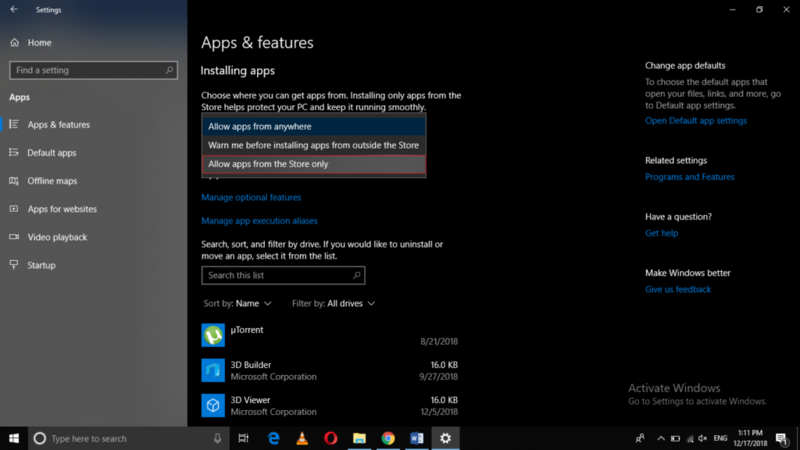 In this way, you can easily blacklist the apps that are not in Windows 10 store very easily by following the method discussed in this article. However, these settings do not apply to your already installed apps whether they are installed from the third party sites or from Windows 10 store.